Footage from The Light, Romsey released! Really excited to see all of the footage from The Light Romsey up online! Such a lot of work went into all of this, and the support from the community in Romsey was amazing. On 4th February 2017, over 250 singers from Romsey joined Richard McLester to perform Songs Of The Light under THE LIGHT, a giant illuminated art installation. The full film contains the journey of The Light as well as behind the scenes footage. The interviews with the local community in Romsey taken at the end of 2016 will also be included. The film also highlights issues surrounding Mental Health, one of the main themes of the project in Romsey. The full film will be released for free onto YouTube. We hope it will allow those who took part the chance to relive the performance, and discover more about how the project came to be. Songs Of The Light – New Album Released! 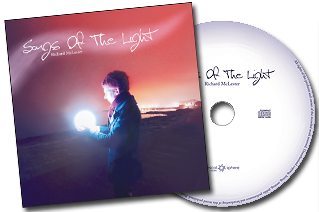 The new CD Songs Of The Light is finally here! Written to be performed as the launch of the art installation The Light, the songs follow the journey of the mythical figure Sulac as he goes in search of the light. 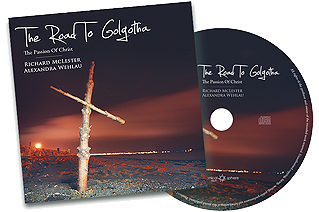 The cd booklet contains all of the words to the music, as well as photos from the launch of The Light in Poole, Dorset. All of the music has been written and recorded by Richard McLester. St Peter’s Parkstone Parish Choir & Treble Soloist Zach Bullock appear on The Lowly Candle Flame (Track 10). The CD also includes songs such as Stars (Lead Me On) and Escape From The Flood. All money raised from CD Sales will go directly back into the ongoing project “The Light” to help put on future community events, and fund workshops & mentoring sessions for those who get involved. 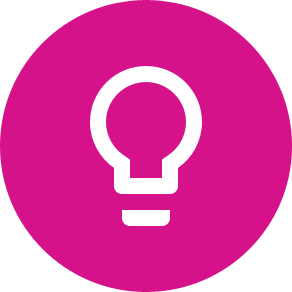 In 2015, artist Richard McLester and a small team designed and built The Light. The art installation, which is a 4 metre diameter globe of light hung in Poole Dolphin Shopping Centre 10 weeks over the 2015 Christmas period. All of the 22 minute film was shot, edited, coloured and produced by Conical Sphere Media as part of the Conical Sphere Music project. THE LIGHT Live Performance, Poole. On 26th November 2015, the installation was launched with a concert showcase of Songs Of The Light – led by Richard performing with a community choir that was put together especially for the event. During the event, a series of interviews with local community members was projected onto the globe. The full film includes footage from the concert, interviews that were projected out onto The Light as well as footage from The Lowly Candle Flame, which features Lumin-Essence, the double hanging Christmas Wreath which had been designed by Richard McLester the year previously. This footage features choristers from St Peter’s Parkstone Parish Choir and musicians from Wessex Youth Orchestra. In 2015, artist Richard McLester and a small team designed a 4 metre globe called The Light. The installation hung in Poole Dolphin Shopping Centre over the Christmas period. The Light was launched with a concert performance of Songs Of The Light – led by Richard McLester performing with a community choir conducted by Sam Hanson put together especially for the event. Under film director Jordi Robert, the event was captured on film. Conical Sphere Media have since been editing the footage. The result is a short film which tells the story of the performance & journey in 2015. 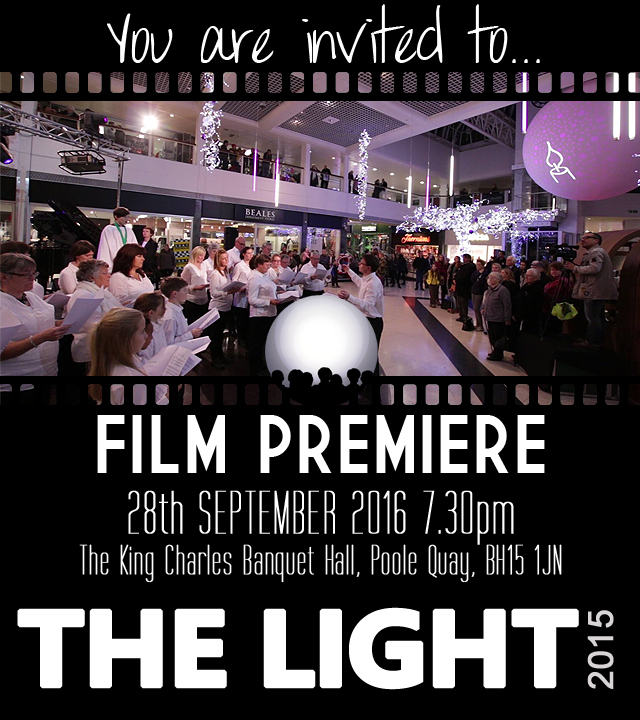 The film includes The Lowly Candleflame – one of the highlights of Songs Of The Light – which features St Peter’s Parkstone Choir and members of the Wessex Youth Orchestra. It’s a chance to see more of the community interviews, relive the performance and look forward to taking The Light to more communities. at The King Charles Inn (Banquet Hall) BH15 1JN, Poole Quay at 7.30pm. ** FIRST 30 PEOPLE GET A FREE DRINK! 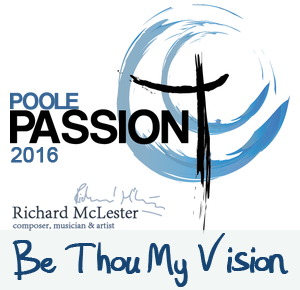 The Poole Passion is performed every two years in Poole, Dorset and is a huge community undertaking. The two and a half hour production culminates in a song performed as the whole cast leave the stage following in the footsteps of the risen Christ. In the weeks leading up to the 2016 production, Richard McLester re-scored and produced the hymn Be Thou My Vision to make an uplifting finale to the drama. Soprano vocals are sung by Shannen Knutsen, a soprano soloist from the University of Winchester. 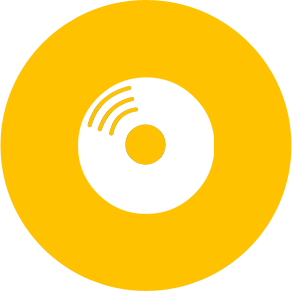 If you don’t get the chance to come to any of the live performances, or would like a keep-sake from the production, you can download the mp3 file below. Photos from The Light 2015!